Ideal for the cold greenhouse, ripens early and will colour well in a sunless summer. 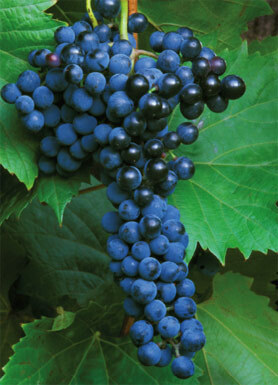 The grapes are sweet and juicy and the handsome bunches are filled with large, black fruits. The best dessert grape ever introduced.